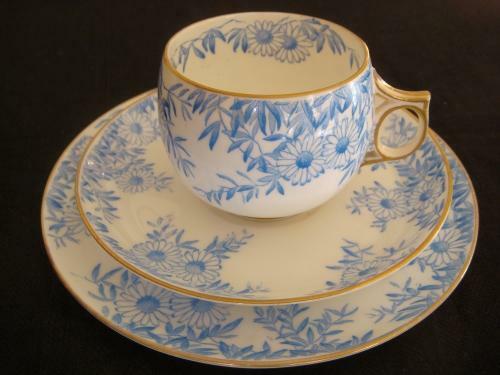 Hand painted Blue & White design with Gold Trim. The Cup has a little staining from use, there are no Chips or Cracks. Cup measures 8cms in diameter Saucer 14.5cms & Plate 17.5cms in diameter.